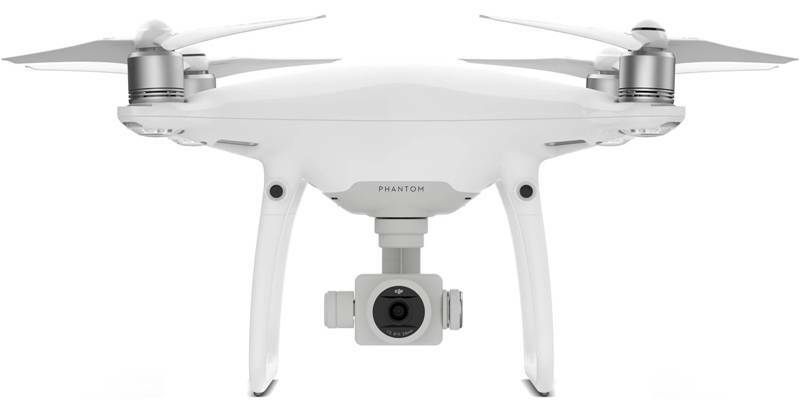 The DJI Phantom 4 PRO is a Professional Drone, Hobby RC Quadcopter & Multirotor featuring a titanium alloy and magnesium alloy construction that increases the rigidity of the air-frame and reduces weight thus making the Phantom 4 Pro similar in weight to the Phantom 4. This drone also features a FlightAutonomy system with dual rear vision sensors and infrared sensing systems for a total of 5-direction of obstacle sensing and 4-direction of obstacle avoidance. On the other hand, this drone is equipped with an advanced camera that features a 1-inch 20-megapixel sensor capable of shooting 4K/60fps videos and Burst-Mode stills at 14 fps coupled with advanced sensors and processors that ensure everything is captured with more image detail and the image data needed for advanced post-production. Additionally, the Phantom 4 Pro controller integrates an upgraded Light-bridge HD video transmission system that adds 5.8 GHz transmission support coupled with the ability to choose between 2.4GHz and 5.8GHz in-order to allow pilots to cut through interference and eliminates image lag caused when flying in an area with extensive 2.4GHz frequency use. 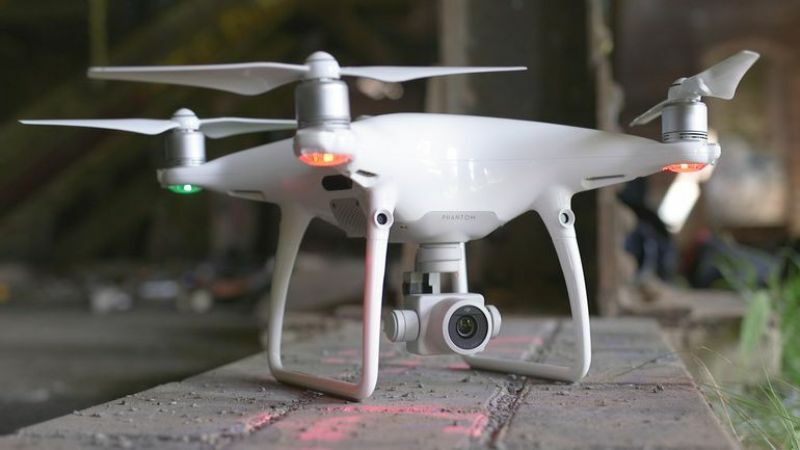 Likewise, this drone features “Draw-Technology” that facilitates for way-point control whereby you can simply draw a route on screen and the Phantom 4 Pro will move in that direction while keeping its altitude locked thus enabling the pilot to focus on camera control for more complex shots while Trace-technology allows the drone to follow behind or in front of a subject while avoiding obstacles automatically. 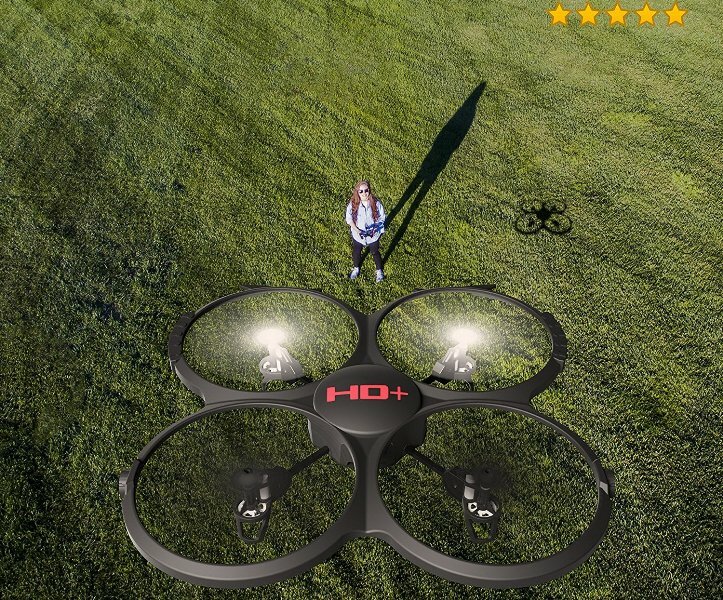 Lastly, this drone also features a Return to Home mode which allows it to choose the best route to return home depending on environmental conditions and it’s even equipped with a gesture-mode that allows you to take selfies easily using a few gestures without the need for a remote controller. Advanced Camera with 1-inch 20MP sensor & CMOS sensor. Supports H.264 4K videos at 60fps or H.265 4K at 30fps. It can take Burst Mode still photos at 14-fps. Captures images in detail for advanced post-production. It automatically recognizes subjects, follows & captures them as they move. A titanium-alloy and magnesium-alloy construction that is durable and lightweight. A FlightAutonomy system with dual-rear vision sensors and infrared-sensing systems. Total 5-direction obstacle sensing & 4-directions of obstacle avoidance. An additional set of high-resolution stereo vision sensors placed at the rear & front. Its controller features an upgraded Light-bridge HD video transmission system with 5.8GHz transmission. Ability to choose between 2.4GHz & 5.8GHz allows pilots to cut through interference. Draw-technology for waypoint control by simply drawing a route on screen & the drone follows it. Trace-technology that follows behind/in-front of a subject while avoiding obstacles. An AR route function shows the aircraft’s real-time flight direction for reference. TapFly-Free allows pilots to set the direction of flight by allowing them to turn or tilt the Phantom-4. An upgraded Return to Home mode that selects the best route to return home depending on the situation. Gesture-Mode for taking selfies easily with just a few gestures & without using a remote controller. Dual compass modules & dual IMU units for maximum reliability compared to hexacopters & octocopers. Professional aerial imaging benefits from longer flight times of up to 30-minutes. The DJI GO app shows battery lifetime and calculates remaining flight time according to distance traveled. An advanced battery management system to prevent overcharging and over draining. DJI GO app can be used on smart devices and is available for integration into DJI CrystalSky monitor. The DJI GO app also offers a large number of Intelligent Flight Modes & manual camera controls. 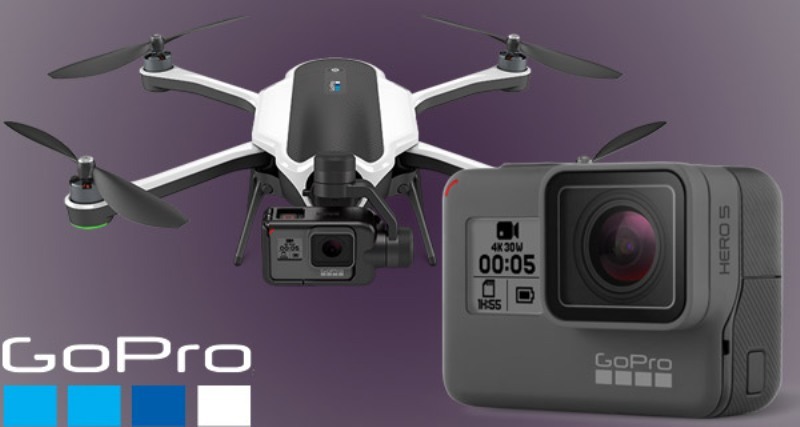 GoPro Karma with HERO5 was designed to provide an amazingly smooth in the air since it comes with a powerful handled or body-mounted camera. 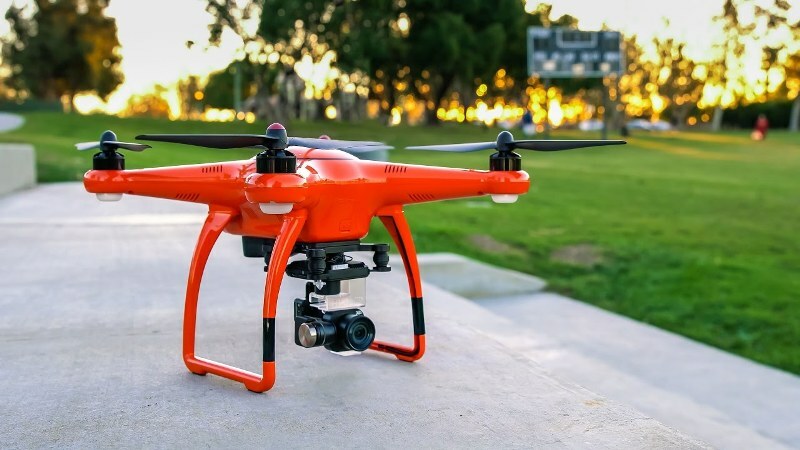 This drone features a versatile stabilizer you can remove from the drone and attach to Karma Grip and it also features a foldable design that facilitates for compact and lightweight storage especially when traveling. On the other hand, this drone features an automatic one-button takeoff and landing which is a great option for first-time flyer while the built-in tutorial shows you how to set up the drone, work the sticks, control your camera and to fly safely. Additionally, the flight simulator gives you the hands-on training you need to fly like a pro anywhere and at any time before your first flight but experienced pilots can use the smart controls to fly while they focus on controlling the camera to get a perfect shot. Likewise, the Karma Grip camera can be used with GoPro body mounts and optional Seeker sportpack to capture hiking, riding or biking pictures while the Karma’s removable stabilizer delivers smooth pictures perfect for professional production. Lastly, the Karma Controller is simple and smart for easy control of the drone and camera coupled with an improved visibility outdoor Controller touch display and it also includes a built-in shoulder mount on the Karma Case for ultra steady body-mounted footage. Karma Drone folds to fit into the included lightweight case. An automatic one-button takeoff and landing feature perfect for first-time flyers. It captures amazingly smooth GoPro footage in the air whether handheld or body mounted. The Karma Controller is simple and smart for easy control of the drone & camera. Karma Controller touch display is designed for improved visibility outdoors. The Karma Stabilizer captures breathtaking shake-free video both in the air and on ground. Remove the Stabilizer and attach it to Karma Grip for steady & professional handheld shots. Karma Grip works with GoPro mounts including the built-in shoulder-mount on the Karma Case. Experienced pilots can use the smart-controls to fly while they focus on controlling the camera. A built-in tutorial shows you how to set-up the drone, work the sticks, control the camera & fly safely. A flight simulator gives you hands-on training you need to fly like a pro anywhere before your first flight. The DJI-Mavic Pro Quadcopter comes with a pocket-sized remote controller equipped with DJI’s brand new OcuSync transmission technology with a range of 4.3mi (7km) coupled with HD 720p long range and Full-HD 1080p short range video streaming. The Mavic uses FlightAutonomy technology to sense obstacles up to 49ft (15m) away and allows the Mavic to bypass them or brake to hover thus reducing on accidents while forward and downward vision sensors allow the Mavic to hover precisely indoors or in places without GPS and the Mavic is only 1/6th the size of the Phantom 4 but it can actually fly much longer than you would expect with a capability of reaching a maximum flight time of 27 minutes and a maximum distance of 8mi (13km) due to its powerful & high-efficiency motor. 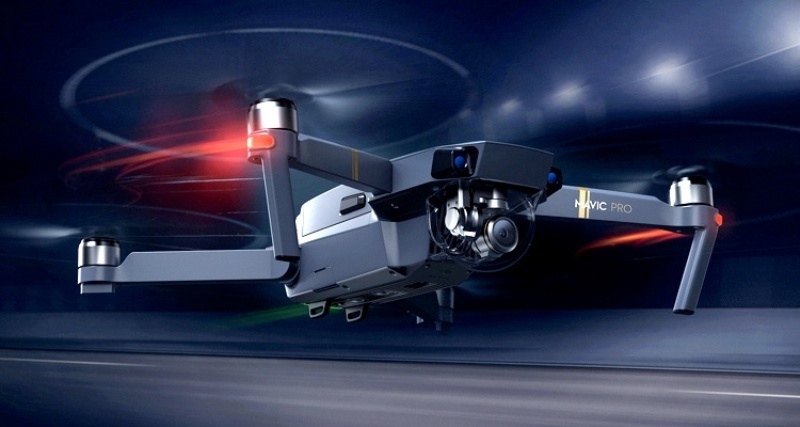 On the other hand, this Mavic is the only drone of its size to carry an integrated high-precision 3-axis mechanical camera stabilization system which will provide you with crystal clear photos and smooth videos without losing any single pixel and the Mavic-camera also supports 4K videos at 30fps without any electronic Image-Stabilization to ensure that the entire image is 4k. Likewise, a miniaturized, ultra-precise 3-axis gimbal on the Mavic-drone is capable of stabilizing the camera even during high-speed motion for smooth videos and sharp photos while the Gesture-Mode allows you to take to take selfies by simply waving at your drone. On top of that, this drone features a finely tuned control with a Flip on Tripod Mode which makes every move the Mavic makes become slow and precise when lining-up a photo or flying indoors while the level-headed function allows the drone to stay at the same level height above the ground automatically including over uneven terrain. The Mavic-drone also acts on your instructions almost instantly and it can also be paired with super high-quality wireless DJI Goggles in-order to help you see the world through the eyes of a bird. Lastly, this drone features TapFly-technology which allows beginner pilots to simply tap where they want to go and the Mavic will fly smoothly in that direction hence allowing them to focus on controlling the gimbal and capturing photos and video while the integrated 2-sets of key-sensors help to complement each other in case one sensor goes wrong. Its remote controller features DJI’s brand new OcuSync transmission technology. Remote offers a range of 4.3mi (7km), HD 720p long-range and Full-HD 1080p short-range video streaming. It uses Flight Autonomy to see obstacles as far away as 49ft (15m) in front. Absolute Precision Flight Autonomy technology for hovering precisely in more environments. It can automatically land almost exactly where you took off. Unobstructed & free of interference coupled with FCC compliance. Satellite positioning for hovering in unobstructed outdoor areas free of interference. Forward and downward vision sensors for precise hovering indoors or in places without GPS. Powerful, high-efficiency motor offers a maximum flight-time of 27-mins & max-distance of 8mi (13km). Features a high-precision 3-axis mechanical camera stabilization-system for crystal clear photos & videos. It supports 4K videos at 30fps without any electronic image stabilization being used. A miniaturized, ultra-precise 3-axis gimbal for stabilizing the camera even during high-speed motion. A gesture-feature that allows you to take selfies with just waving at the drone pointing at you in the air. Flip on Tripod Mode makes very move the Mavic makes becomes slow and precise when flying indoors. It can stay at the same level height above the ground automatically even over uneven terrain. The Mavic acts on your every instruction almost instantly when flying or taking pictures. It can be paired with super high-quality wireless DJI Goggles to let you see the world like a bird. TapFly-function allows you to tap where you want to go and the Mavic will fly smoothly in that direction. 2-sets of key sensors whereby if one-sensor goes wrong, the other kicks in to take its place. Holy Stone F181C RC Quadcopter Drone with HD Camera and RTF 4 Channel 2.4GHz 6-Gyro Headless System Altitude Hold Function was design to provide you with a great flying and photo or video taking experience. 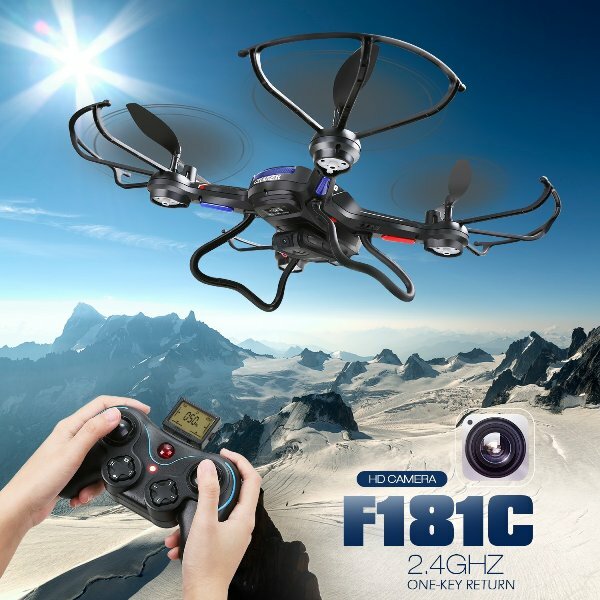 This drone features an upgraded Altitude Hold Function which allows it to stay hovering at the current height when you release the throttle stick while the integrated 720P HD Camera helps you capture clean videos and even take wonderful photos. 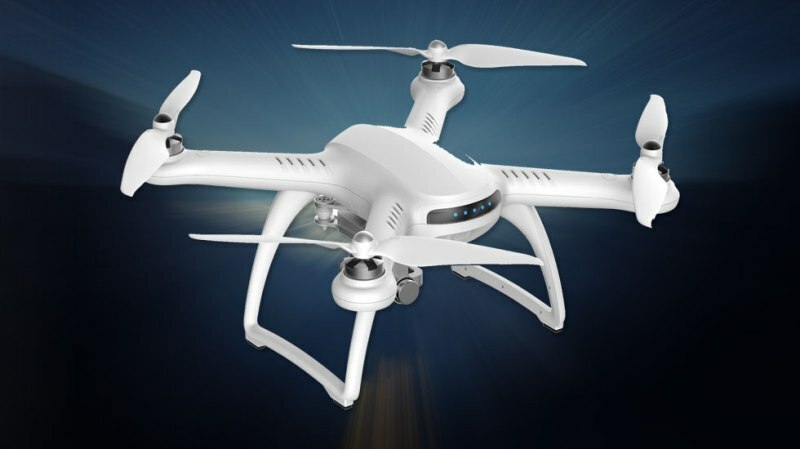 Additionally, this drone features a Headless-mode function which is great for beginners to recognize the drone and how to operate it while the One-Key-Return button helps to summon the drone back to is starting-point. On the other hand, this drone also features 3D Flips & Rolls supported by the latest technology of a 6-Axis Gyro flying control system in-order to allow you fly in 4-directions hence making flying interesting while the included 2-packs of powerful batteries and motors provide a maximum-power to the drone coupled with longer flying time. Likewise, this drone features a One Key Engine Start/landing feature which makes it very easy and safe to start the flight and land while the 4 Speed Control Mode ranging from low-to-high are suitable for both beginners and experts. Lastly, this drone features a Left/Right Hand Operation Mode coupled with Controllable LED Lights which can help you locate the drone especially at night and can be turned on/off easily. 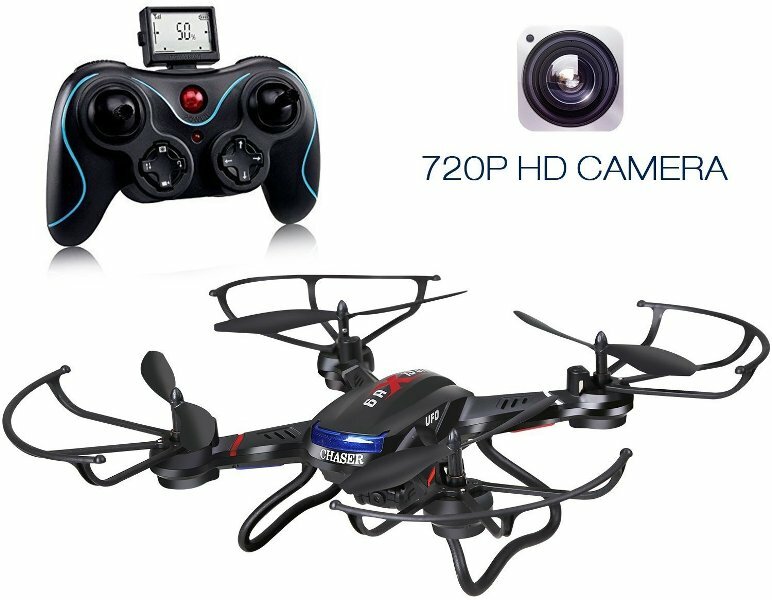 It’s an RC Quadcopter Drone with HD-Camera & RTF 4 Channel 2.4GHz 6-Gyro Headless System. A 720P HD-Camera for capturing clear videos and taking wonderful photos. One Key Engine Start & landing feature for easy and safe starting of flight or landing. Controllable LED Lights which help you locate the drone at night & can be turned on/off easily. 3D Flips & Rolls that offer cool flips in 4-directions making flying interesting. 6-Axis Gyro Technology with Altitude Hold Function that allows for excellent flips & rolls. A One Key Return button that can be pressed to summon your drone back to its start-point. A Transmitter Operation Range of about 50-to-100 meters and can be charged for about 70-90 Minutes. An upgraded Altitude Hold Function that allows the drone to stay hovering at the current height. A Headless-mode that allows the drone to move on its own making it a great function for beginners. 2pcs of Powerful Batteries and Motors that provide strong power to the drone for longer flying time. 4 Speed Control Mode from low-to-high making the drone perfect for both beginners and experts. Left/Right Hand Operation Mode which makes this drone very convenient to use by all-types of people. The Force1 UDI U818A is an HD-Camera Drone for Kids and beginners. 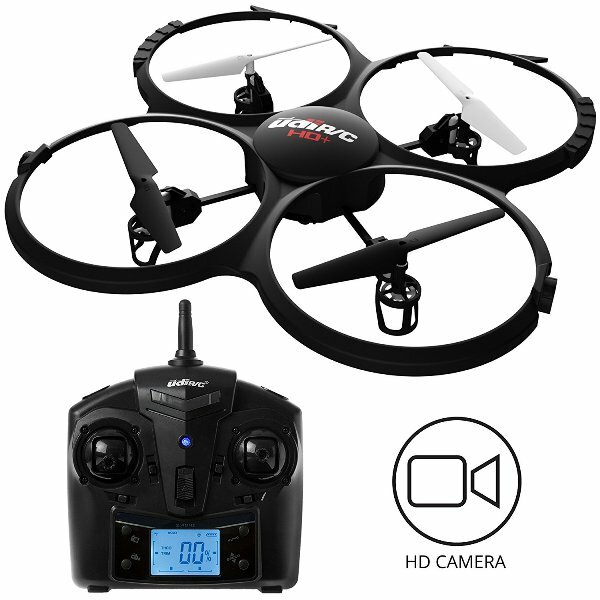 This drone features a 720P HD-Camera that can take clear pictures and videos while the integrated SD-slot and 4GB Micro SD-card facilitates for easy downloading of any pictures or videos. This drone also delivers 6-axis gyro balance in-order to provide beginners with optimum stability when flying or landing while the flip-button allows you to do easy flips and rolls when flying. on the other hand, this drone features a Headless Mode function that helps to enhance video drone flight and drone camera images while the bonus battery-pack and power-bank combo allows you to fly this RC drone 4x longer and the integrated low-battery alarm beeps to let you know when it’s time to land. It’s a great HD-Camera Drone & RC Quadcopter for Kids & beginners. It features a 2.4Ghz Transmitter for easy control over long-distances. It’s equipped with a 720P HD Camera for clear pictures and videos. It offers 360° Flips and rolls with just a press on the flip-button. It includes a 4GB Micro SD card and reader for easy download of images. A 6-axis gyro balance system for increased stability & media-resolution. Headless Mode that helps to enhance video drone flight & drone camera images. A bonus battery & power-bank for flying this RC drone 4-times longer. A battery-alarm that lets you know when it’s time to land the drone. It delivers over 18-minutes of flight time per charge making it perfect for kids. A data-port and data-cable to upload AVI & JPEG files to Facebook, Instagram, Photoshop, etc. 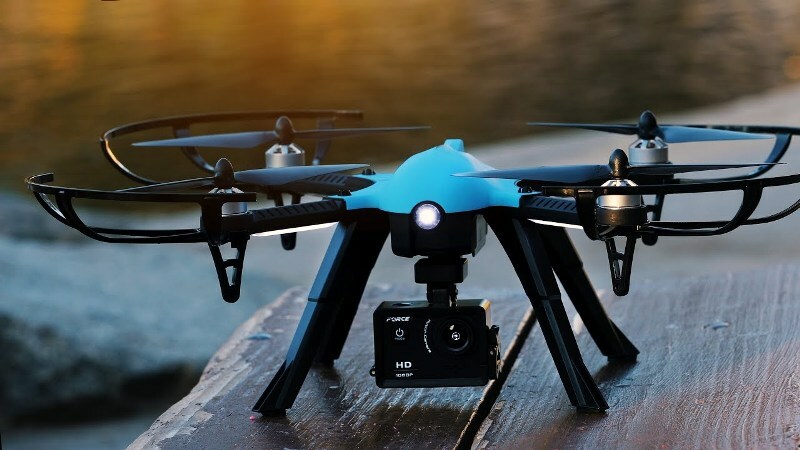 All the features Drones and Quadcopters feature great HD and 4k cameras in-order to helps you take high-quality pictures and videos in 2019. In fact, these drones can automatically sense obstacles and avoid them because they are equipped with advanced sensing systems and they also comes equipped with high-performance motors and batteries in-order to facilitate for longer operation. Lastly, these drones feature powerful transmitters which will allow you to control them over longer-distances without experiencing any interference.